W District is a small area with a community mall that’s located close to Phra Khanong BTS where you can find the multiple condominiums, the Cielo Skybar & Restaurant, creatives spaces like TCDC Commons and most important: W Market. 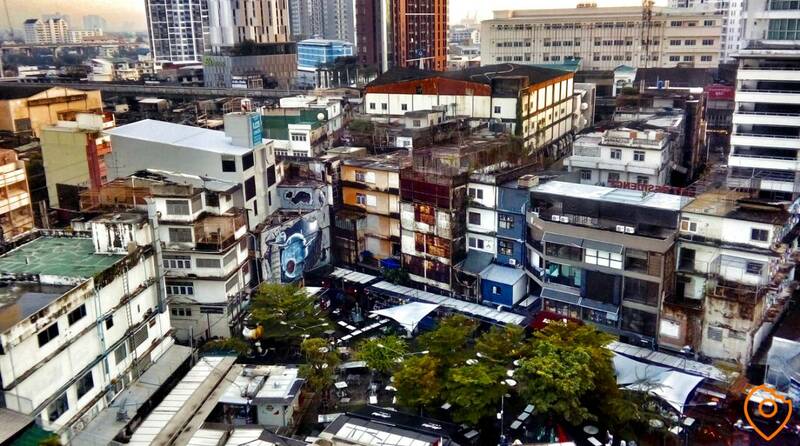 Currently, the Phra Khanong district is getting modernized with another community mall and new condos, making it even more attractive for young people to live. W District was one of the first and it plays a major role in the daily lives of its residents. One of the three key features in the policy of W District is “to chill out” and because of that, it has almost a hundred foodie units. Reason enough to write an article about the food recommendations of W District. 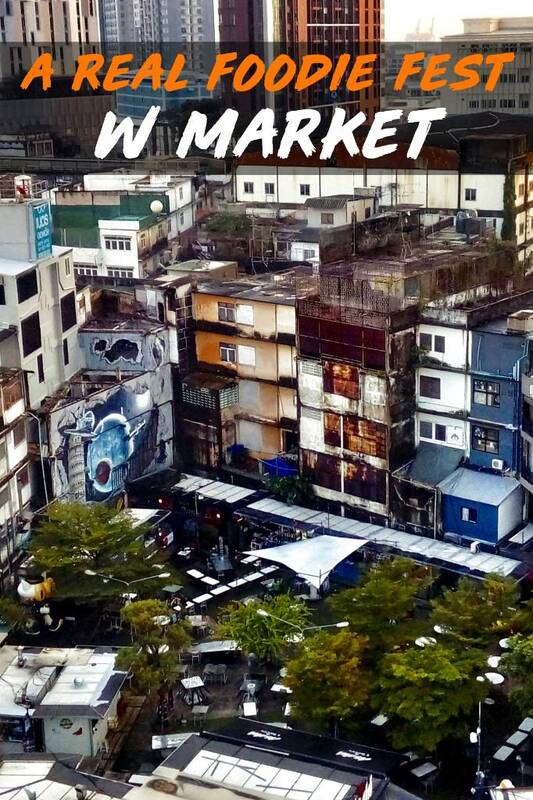 For most Bangkokians, W District reminds them of the market located behind the community mall named W Market. In the centre of the W District area, you will find an open place with a large number of food units and plenty of tables that are packed in the evening. The market itself opens at 16:00 - although most units start serving their food after five - and closes at midnight. The management of W District are picky when it comes to new vendors: their task is to get as much as food variety as possible. 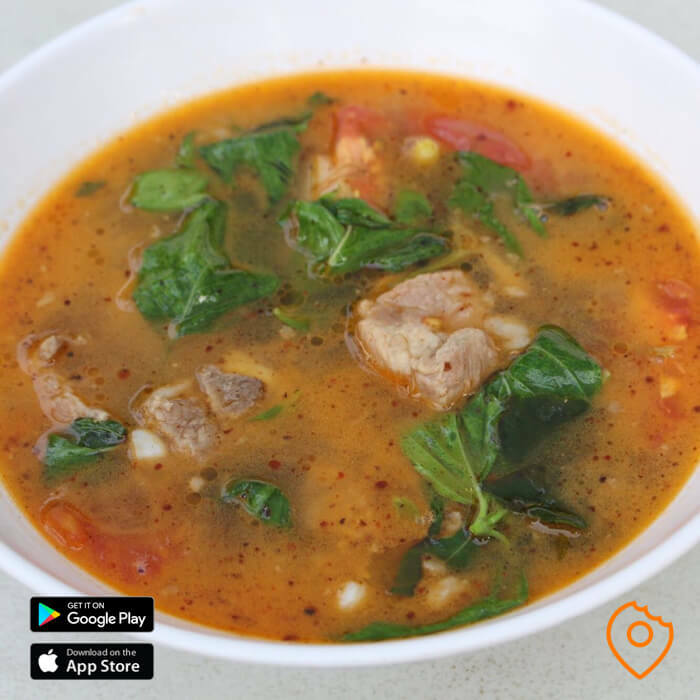 The result is simple yet amazing: you will find all sorts of cuisines, from Greek to Thai, and Mexican to Japanese. Thanks to this policy, you will find almost any type of comfort food at the W Market. W District attracts both expats as locals as the market offers a lot of variation and is located centrally. It’s perfect to catch up with friends and enjoy an ice cold beer and the market is packed every day (unless it rains). And as you would expect from the management of W District, there is a good variety the beer, with a few import beers as well. If you still want something more special, check out Cheers Bar, which serves all sorts of imports and is open 24 hours a day. 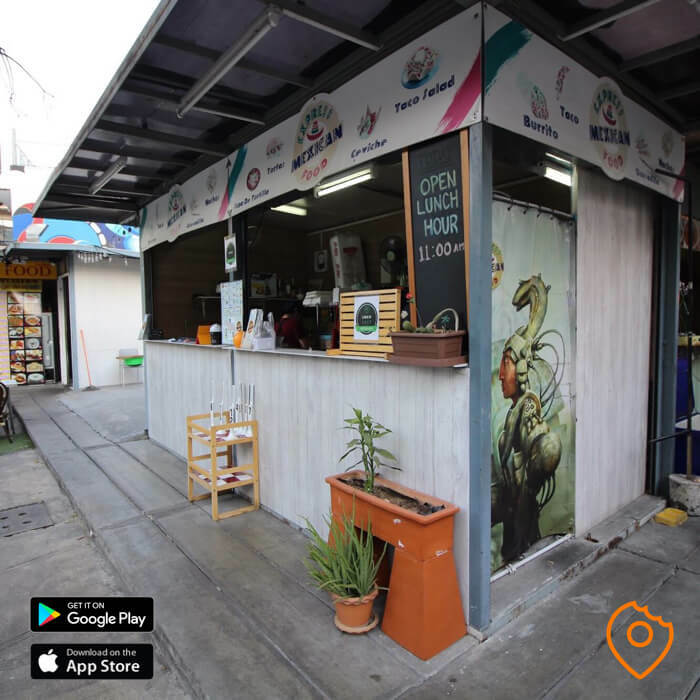 Located centrally on the Sukhumvit Soi 75 side, you will easily spot this vendor selling all sort of Mexican treats. 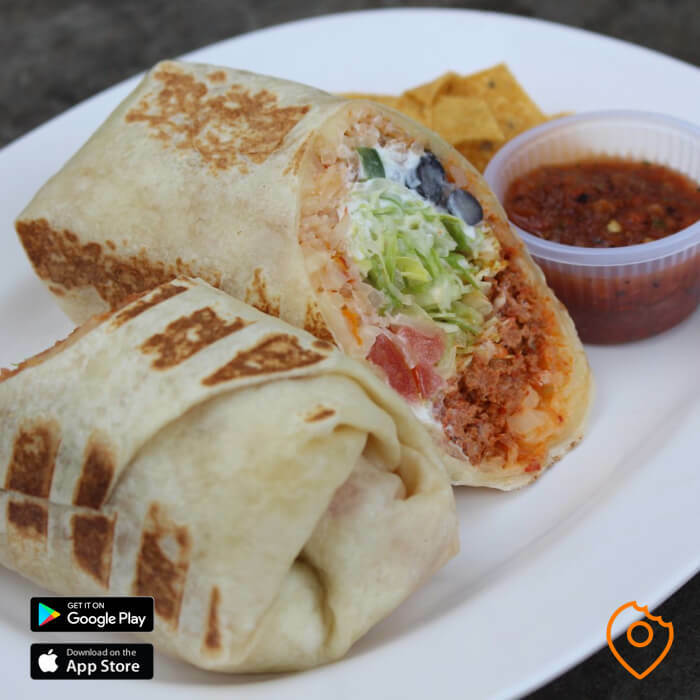 Now, we are not talking about authentic Mexican food, but the taste is still pretty darn good! And if you pay attention, you will notice that it is one of the most popular food units at W Market. 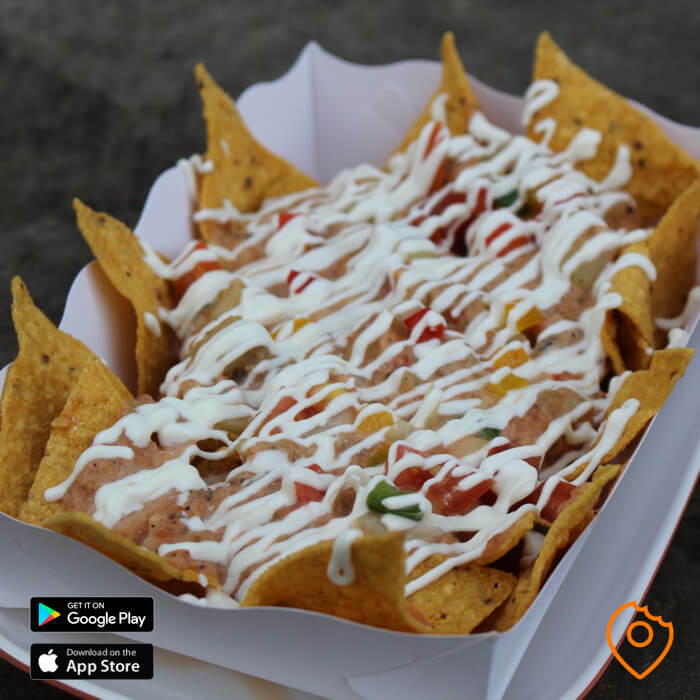 Highlights of the menu are Chorizo Sausage Burrito (240THB) and the Vegetarian Nachos (190THB), but they also serve some delicious tacos was well with a price range between 240 and 320 THB. 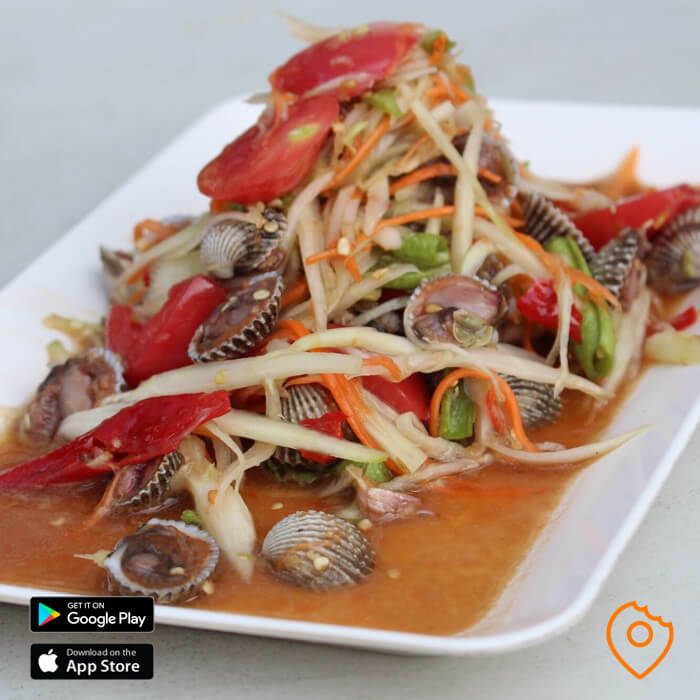 This food unit opened its shop just recently and is the first branch in Thailand. 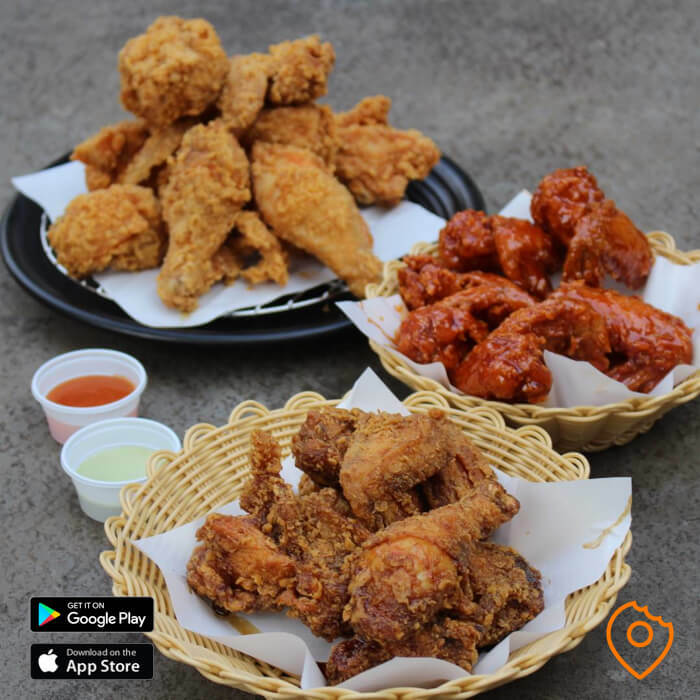 Originally from Korea, Waker Chicken is specialized in fried chicken. The shop is a little bit hard to find as it is located behind Express Mexican Food. 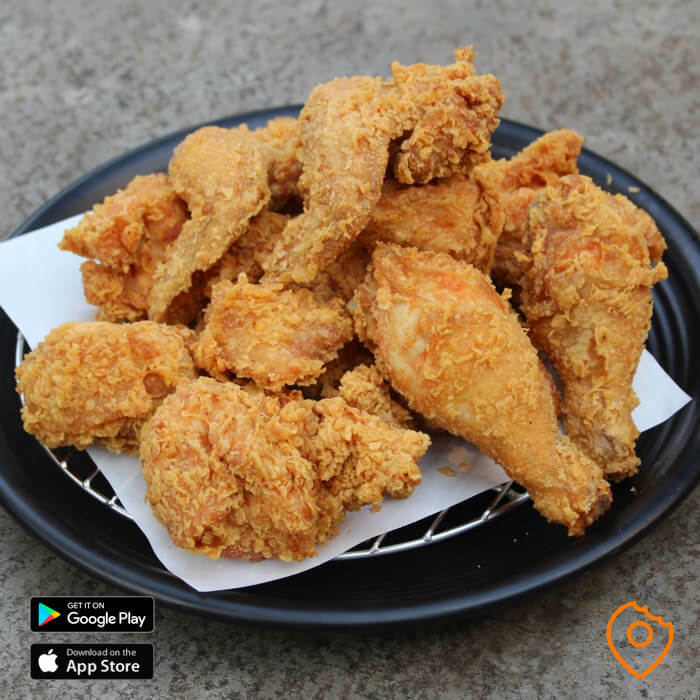 Once ordered, the chef prepares the crispy chicken from scratch, meaning it will season, breaded and deep-fry it within a minute or ten. 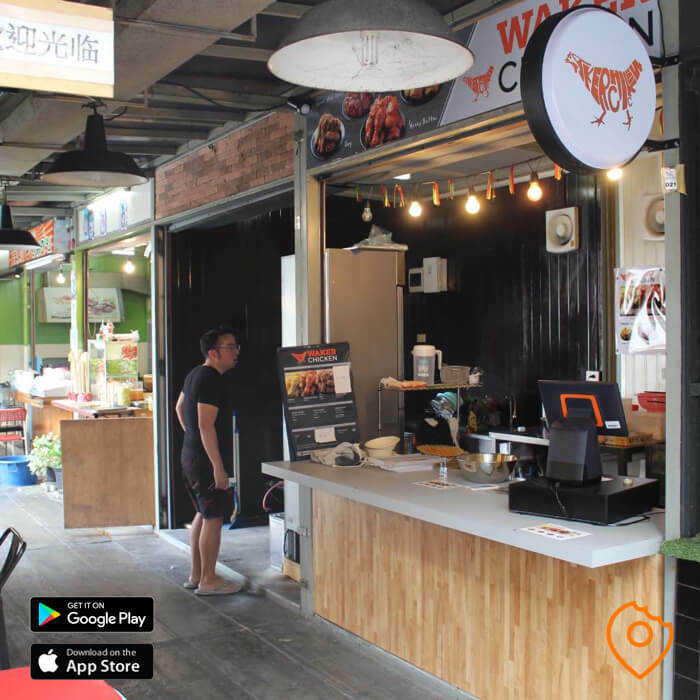 The chicken comes in four different flavours and you can choose between half (240 THB) and whole (480 THB) chicken, or tender fillets: 4 pieces for 120 THB and eight pieces for 240 THB. My personal favourite was the Original, however, the Sweet and Spicy and the Soy Sauce are excellent too! This Greek shop is, like Waker Chicken, a little hard to find as it is located on the left side of Express Mexican Food. 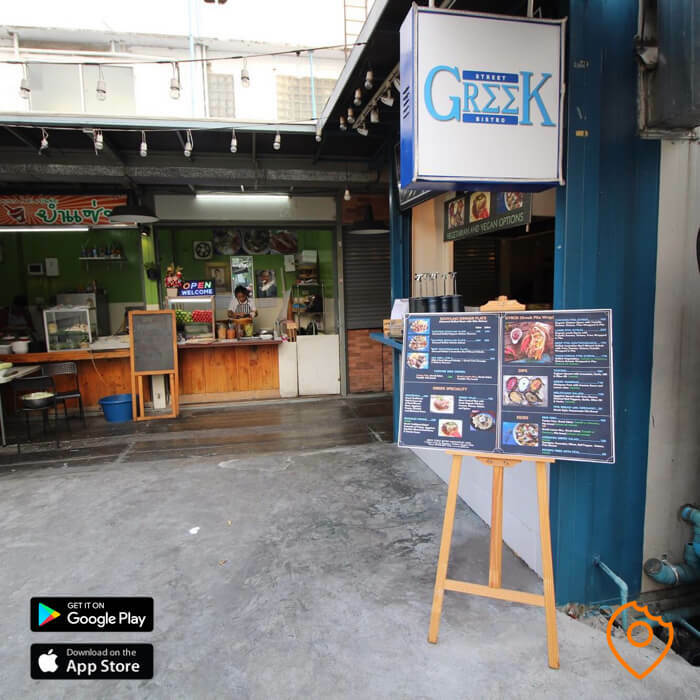 This unit serves Greek comfort food and is the street food vendor version of the well-known Avra Greek Restaurant located at Sukhumvit Soi 33. 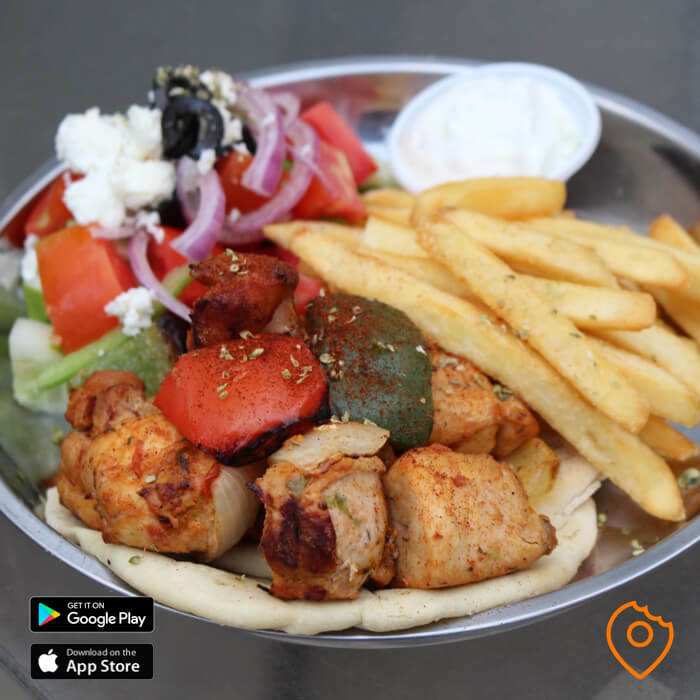 The highlights of Greek Street Bistro’s menu are Chicken Souvlaki Plate (240 THB), the Chicken Pita Gyros (160 THB) and the Moussaka (260 THB). The taste of all the comfort food is really great. 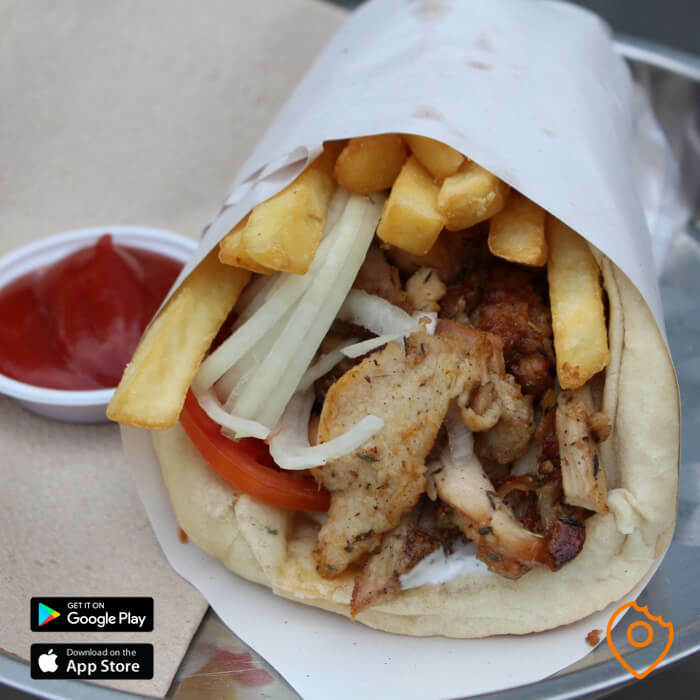 As a Greek food lover, I would definitely recommend this vendor! Does W Market don’t have any Thai food vendor? Well, of course. 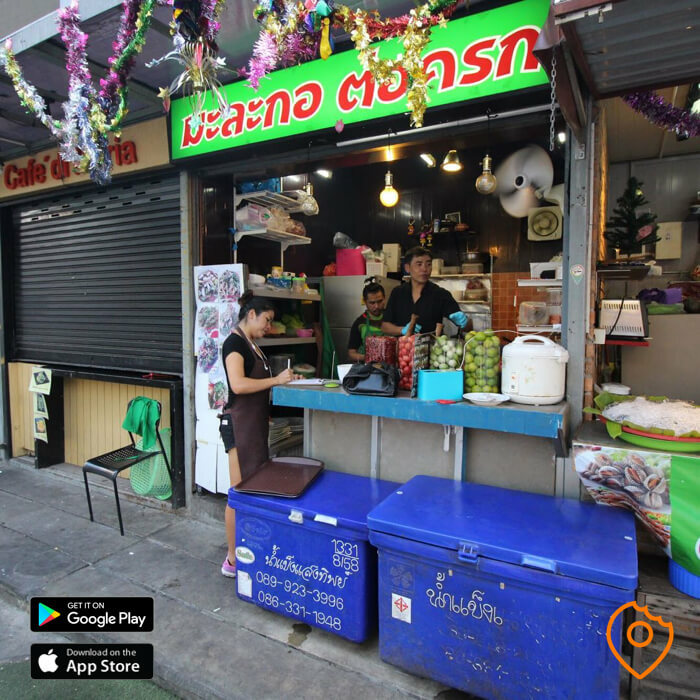 Actually, there are a few, but Ma La Gor Tor Krok is by far the most popular one, serving all sorts of delicious Isaan food. This shop is always open at 16:00 and from that moment on, people keep ordering food until the shop closes at midnight. Highlights are the Laab Moo (110 THB), the Papaya Salad with Cockles (150 THB) and the Spicy Pork Spare Ribs Soup (110 THB). Right next to the market, you can find a few good restaurants at W District, such as Casa Teo and Cielo Sky Bar which I will review soon. Stay tuned!